Whether you like it or not, artificial intelligence is here and making its way into our lives, and also replacing a lot of our tasks. The reason? Computers are simply better at doing some things. Heck, even at gaming, and we don’t mean Google’s AlphaGo! OpenAI Five, if you haven’t heard, is one of the most advanced artificial intelligence bots out there. The AI had previously utterly destroyed human players in Dota 2. Now, reports suggest that the bot has undergone another “benchmark test”, against semi-professional Dota 2 players ranked in the top 0.5% in the world. And the results showed AI Bot dominating. As reported by CNET, OpenAI Five took on a team of players including former Dota 2 professionals and casters Merlini, Fogged, Cap, and Blitz. Over the course of a three-game series, OpenAI Five started strongly, winning the first two games comprehensively. 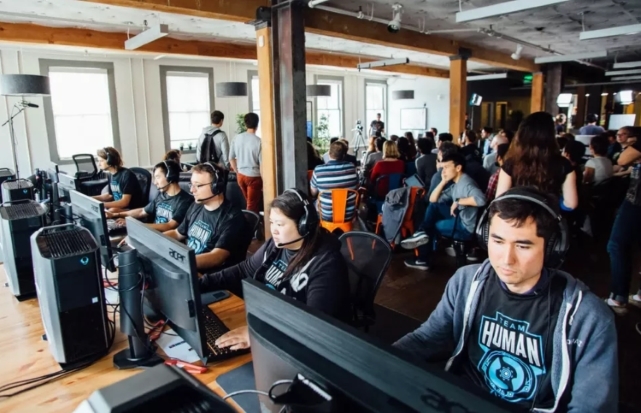 However, in the final game, the OpenAI team let the audience select their team of five heroes – a decision that ended up severely handicapping the AI bot. That handicap resulted in the bot predicting it would have only a 2.9 percent chance of winning the match, which later turned out to be true, allowing the human team to claw back a win, finishing the series 2-1. However, the feat is still great, and according to OpenAI, most of this is due to the small tweaks made to the neural network bot in the past month, increasing its reaction time and putting it through its paces with new, additional strategies. “It still does seem that they have a much faster reaction when something shocking happens,” said David Farhi, a researcher with OpenAI, postulating that this may be one advantage the bot has over human teams. OpenAI Five is developed by OpenAI, a non-profit organization founded by Elon Musk and Sam Altman, and uses a neural network and machine learning to teach itself to play Dota 2. It can play upward of 180 years worth of games against itself, every day.